I’ve had some good tartare’s over the past few years. 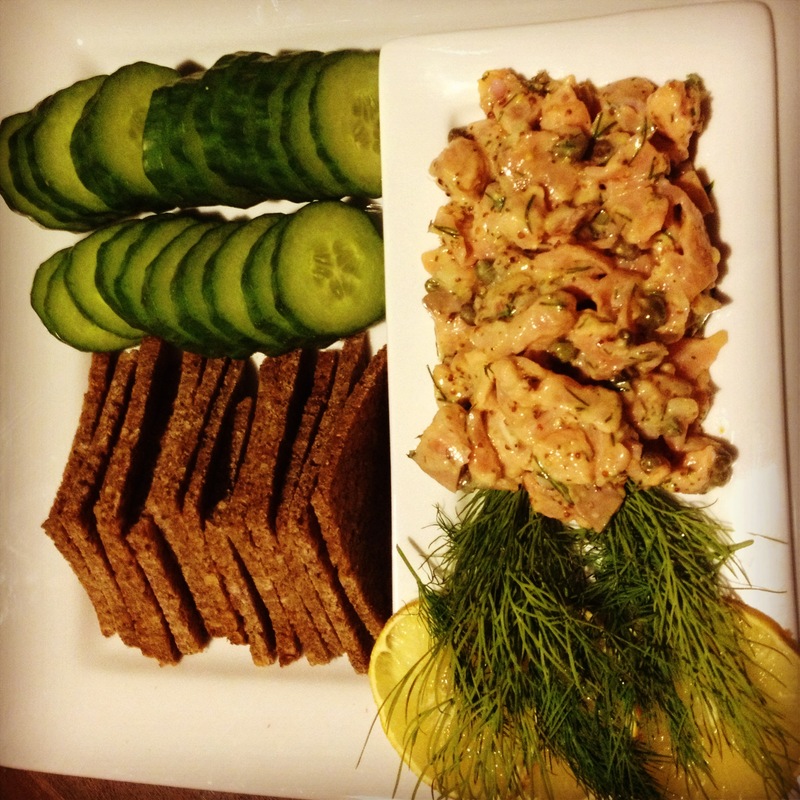 Recently I had one at Untitled with house smoked salmon roe, homemade crackers and soy aioli. My tartare is a little more humble but absolutely satiating and delicious. Some people in my life (cough cough mom) tweek out over raw fish. 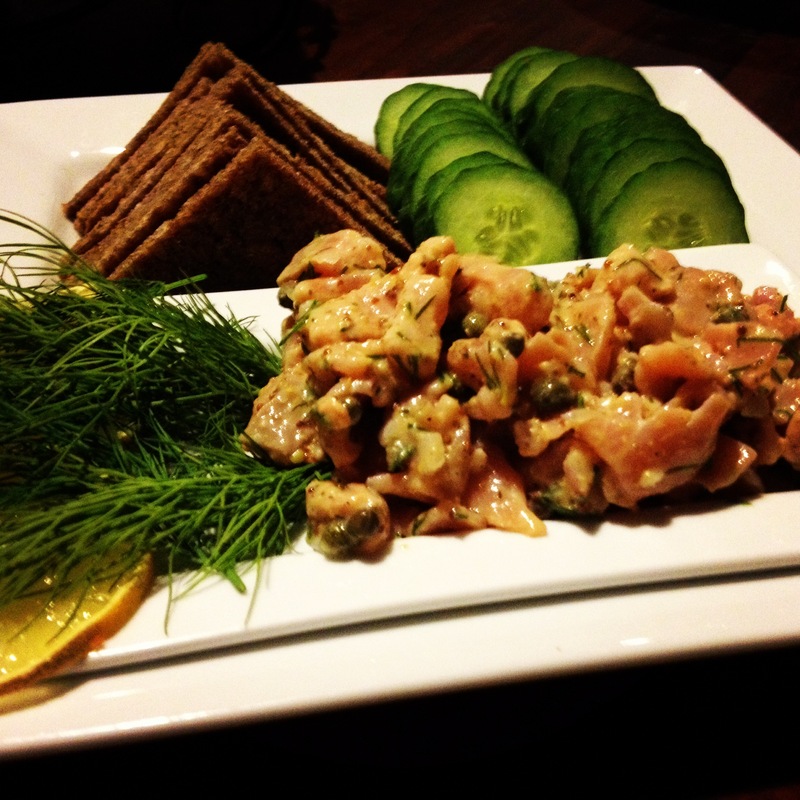 A- this recipe has a mix of smoked and fresh salmon so it cuts back a little on the “raw” fish. B- IT’S NOT RAW… just because the fish is cooked in acid v. heat doesn’t mean it’s not cooked. Can I get a little trust here? Inspired by Ina. Plenty for four girls. 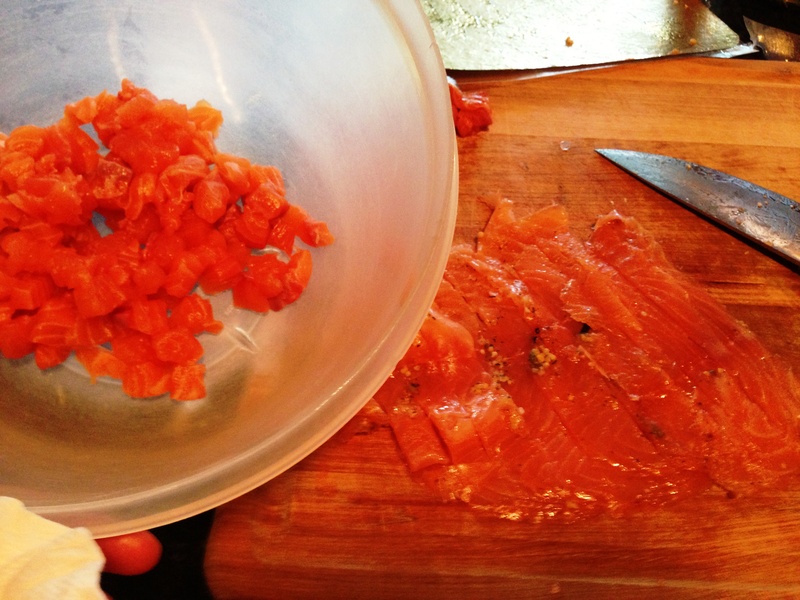 Cut the fresh salmon and the smoked salmon in 0.25 inch dice. 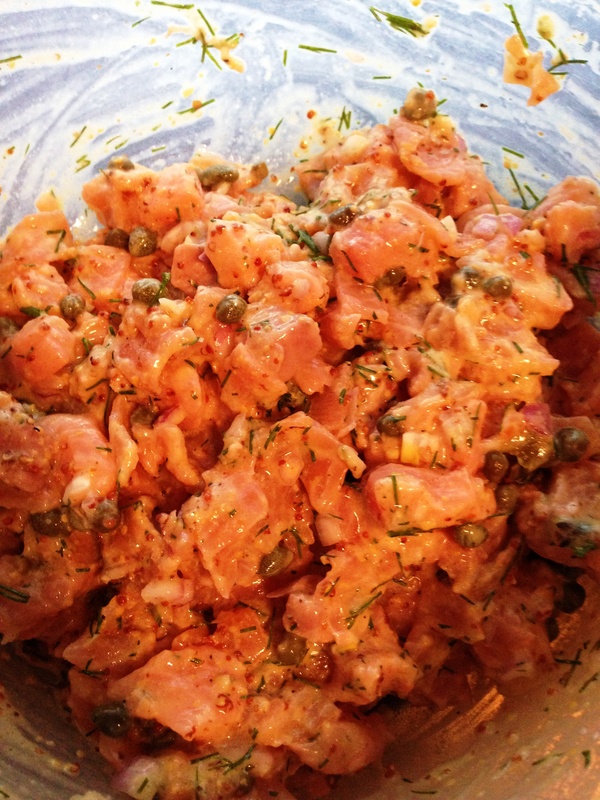 Mix in a bowl with lime juice, shallot, oil, dill, caper, mustards, salt/pep. Cover with plastic wrap and let marinate in the fridge for a few hours. Way to go you have made something in advance for your gathering and now no longer have to think about it. 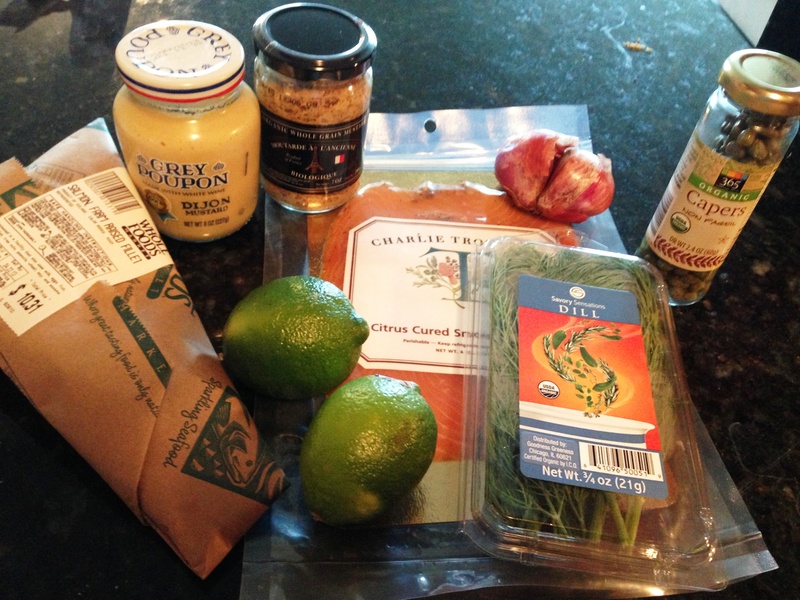 Serve with the carb/cuc/whatever. 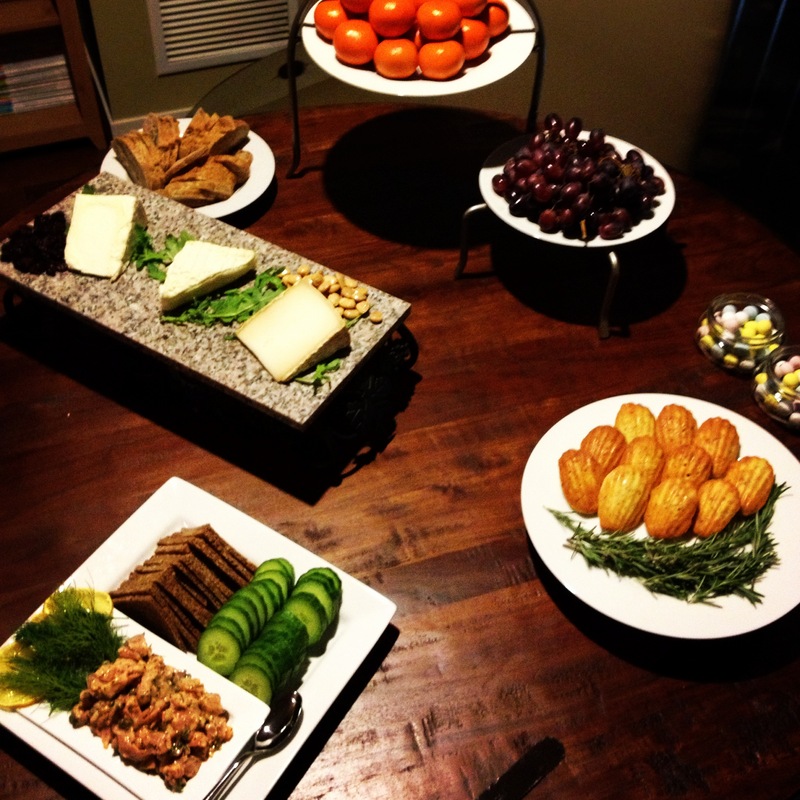 This was great for my little French themed girls night- more on that coming soon.